Hey guys I hope you liked my last post - Best Friend Tag - with MyDailyLife! I really enjoyed collaborating with her so make sure you go check both posts out, one on this blog and one on hers! 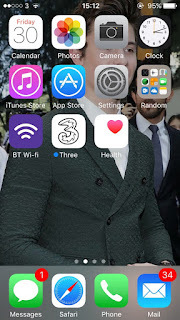 I currently have an iPhone SE which I am ALWAYS using, so I thought that I would share with you what apps I have on it and which are my all-time favourites to go on. I don't have many games on my phone as I never end up going on them, but I recently downloaded some as I was really board in class as it is the end of the year, so it was go on games or sit there doing nothing for the whole day. 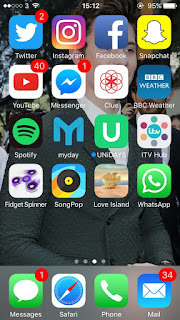 Most of the apps are social media or random ones. So let's get on with what's on my phone! This is the first page of my phone which is pretty boring as its only got the apps that actually come with it. I don't use most of these apps as I don't need to. But, I am always using certain ones like the Clock, Photos, Camera, Three and Heath, for obvious reasons like for my alarm or to take photos. I also have a folder, which is my only folder on my phone as I heard that they can cause your battery to go down quicker, so I just don't use them. But this may not be true. This folder is just got random apps that I don't want on the main pages but sometimes i will use them such as Notes as I like to write down some of my dreams or I will forget them in like 5 minutes. So the next page is the main page of my phone which holds all the apps that I am most likely to use the most. At the top I have all my social media, which I use a lot. I have my Twitter - @BlogMyLife321 - this is the only account I use for my blog, the rest are private. I also have my Instagram, which is my favourite social media, Facebook and Snapchat. I never really went on Snapchat but have recently started going on it much more often as I have streaks now. YouTube is another app which I use a lot, however, I haven't watched it in a few days as I am currently watching a series called Wentworth. That is why I have so many notifications for it and because I am too lazy to go on it and get rid of them. I don't really use Messenger anymore but I do have group chats on it which I will go on if there's a conversation. Also on the second line I have Clue, which is an app for girls and I have a weather app as the weather is always changing in the UK. On the next line I have Spotify, which I don't think I would be able to live without as I love listening to music! The next two apps are more to do with college. I use Myday to keep track of my emails and to check my timetables and submissions. Unidays allows me to get discounts in stores such as Newlook and ASOS as I am still a student. The Love Island and ITV app, I will only use to check on the show and to sometimes watch programs. I will also only use WhatsApp on the odd occasion. The last apps on this page are games, which now that I have finished for the summer, I probably will end up not using them. And finally the last page, which you may be wondering why I only have one app on it, and it's because it's the only way I will be able to see my background properly. 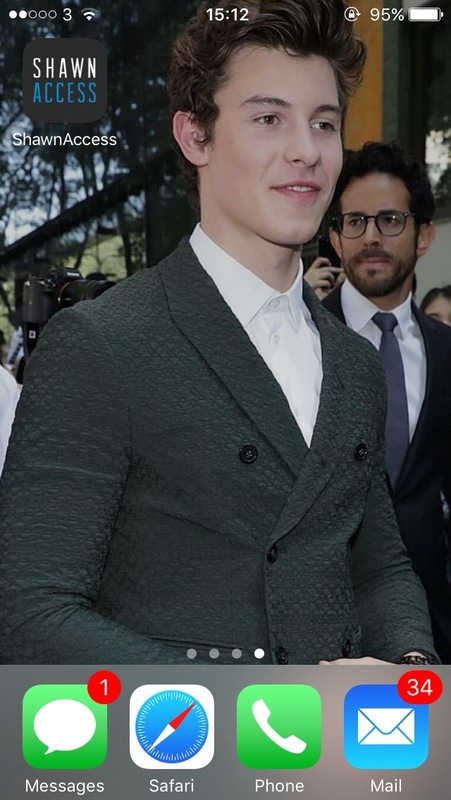 And yes it's of Shawn Mendes, which if you read my other posts you will know that I LOVE his music. Being on the topic of Shawn, brings me to the last app which has all the information about his Illuminate World Tour. Including tour dates and merchandise. I am always on this app when Shawn is on tour! These are all the apps on the 3 pages on my phone but I also have 4 at the bottom of each page, which I always need to use. 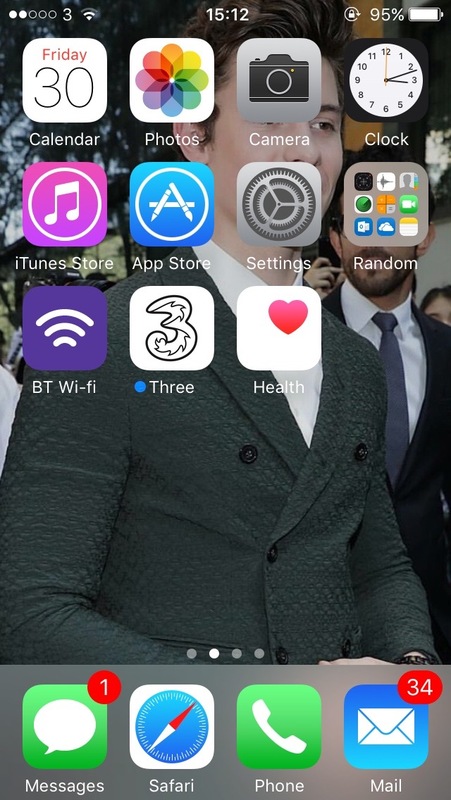 The is messages, Safari, Phone and Mail. I am always messaging MyDailyLife (I won't say her name as she is also anonymous) or on the internet looking on shops as I love shopping! Like who doesn't! So that's everything on my phone. I also have an iPad which is full of random apps so if you would like me to do a "What's On My iPad" leave a comment or tweet me. If you have any apps which you think I may like, please let me know as I love trying new ones out. QOTP: "Let your smile change the world. But don't let the world change your smile"